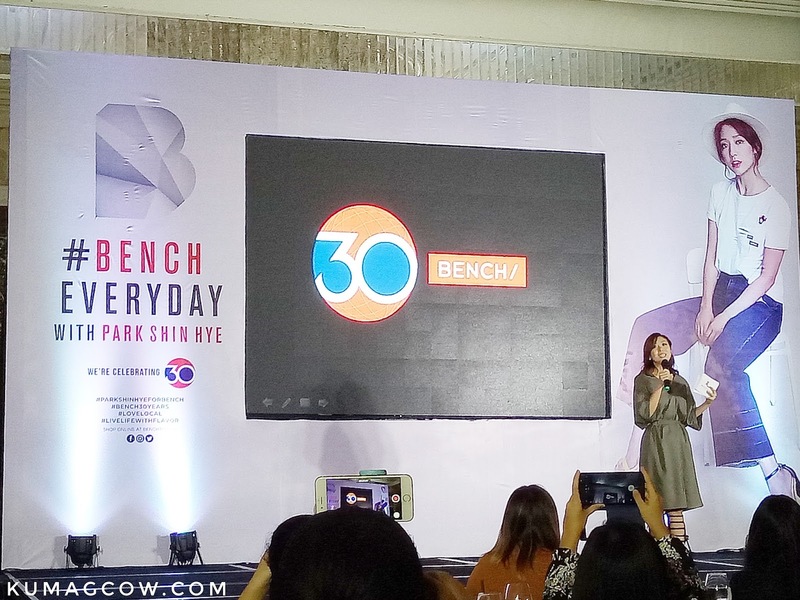 You have no idea how Bench is planning to celebrate their 30th Anniversary, but you can feel it. For KDrama fans out there who watched Stairway to Heaven, You're Beautiful, The Heirs, Pinocchio, and Doctor Crush last year, it would be the opportune time to set yourselves crazy to a trip in all Bench stores and buy off merchandise because the one and only Park Shin Hye is back! 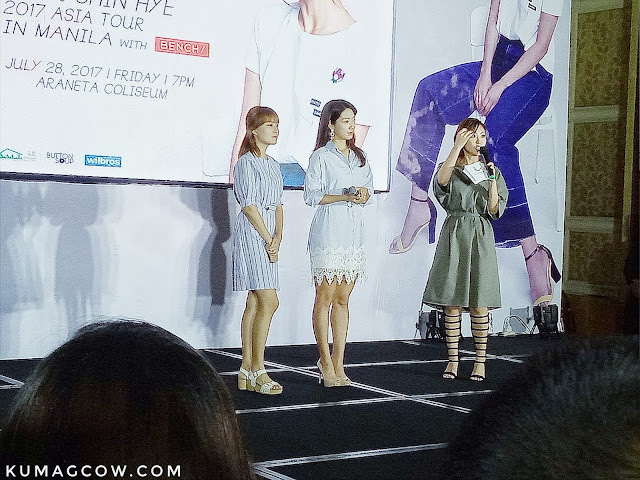 She's the newest International Benchsetter and yesterday we had a glimpse of what to expect when she does her #BenchEveryday concert entitled Flower of Angel later at the Araneta Coliseum in Cubao Quezon City. 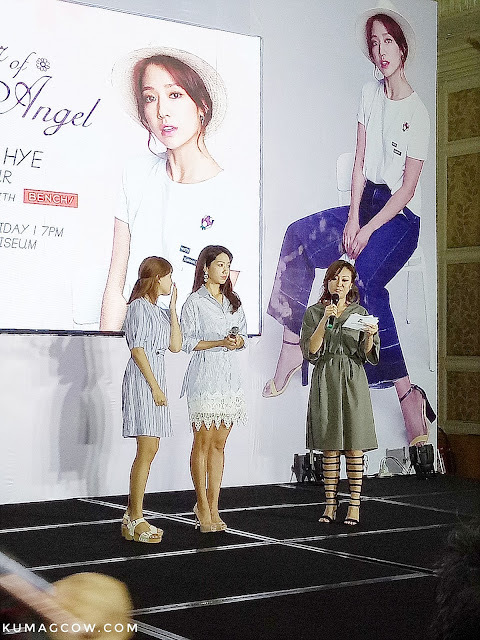 She promises REAL fan interaction as selected people will do things with her on stage plus a super cute and romantic singing session with the popular actress. 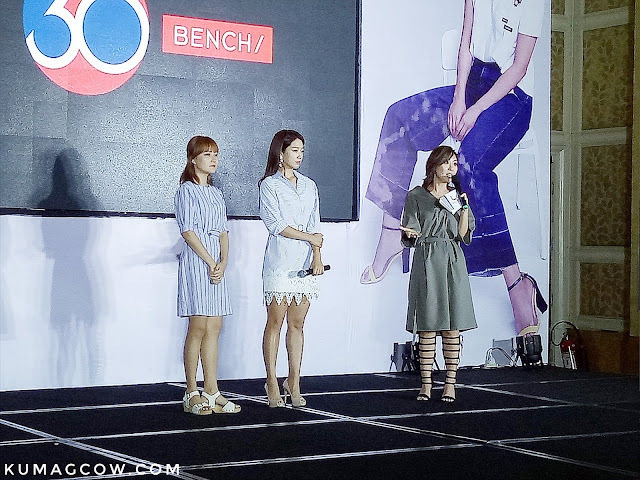 During the press conference yesterday, she says her fashion style was a little boyish so she loved the pants/jeans and simple shirts that Bench has in their stores. But said she wanted to have a good first impression on this day so she agreed to wear a dress and skirt. 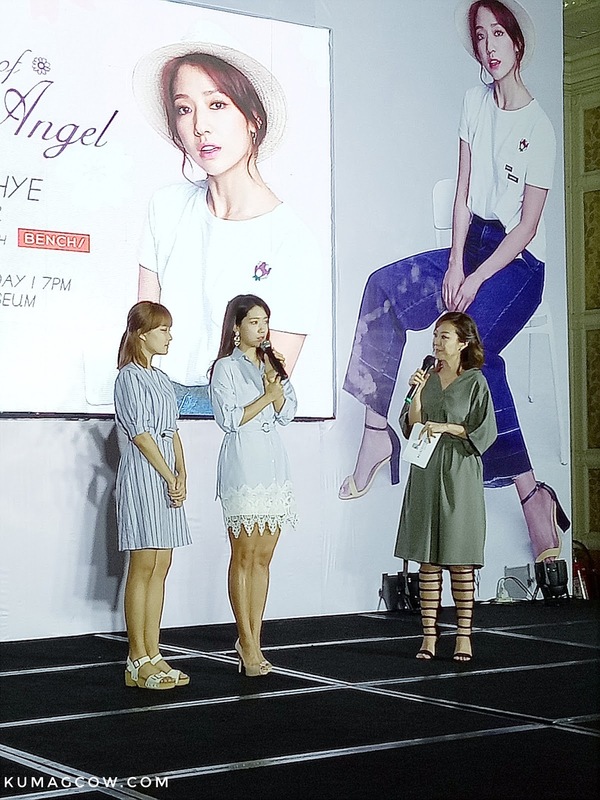 She also wanted her fans to know what she feels the love despite her being in Korea as a lot of you had been sending her messages online and she does read them. 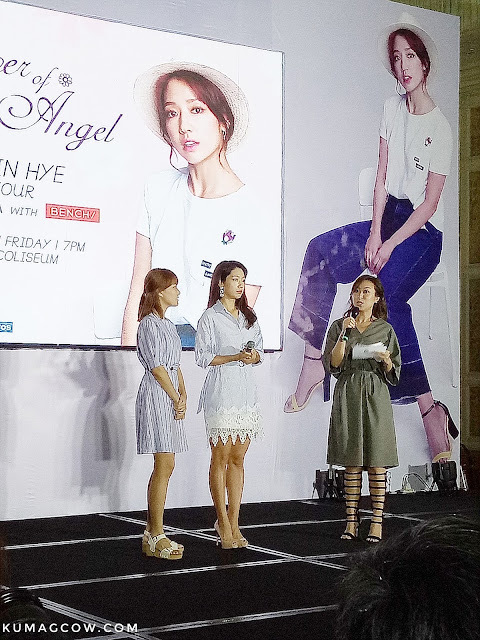 She's also on the way to make another KDrama program come September or October playing a Lawyer this time since she already did a Doctor last year, she wants it different everyday albeit not being too choosy in the roles. She confirms she chooses to do the projects that she finds would just jump to her, when she feels it would make a mark. Her advise to women, take care of your skin. She doesn't have a set regimen at all and only gives importance to moisturize and putting sunscreen because you can never go wrong with that. If you just saw her in person, you would agree as she's absolutely gorgeous, I couldn't see her pores. Tonight will be a special night for her fans and the patrons of Bench. 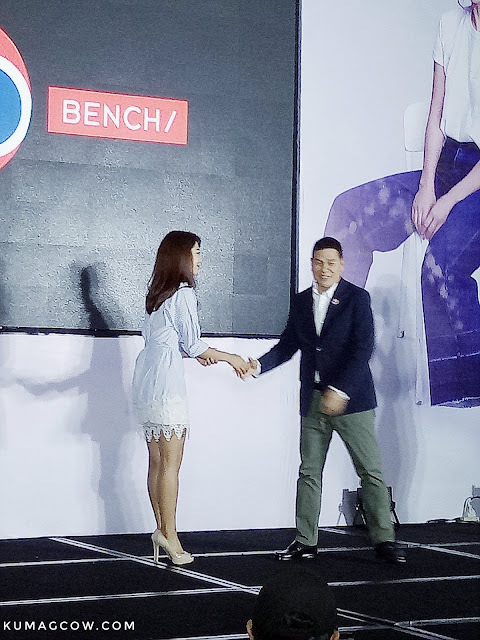 Congratulations Sir Ben and everybody who made it possible for her to come to the Philippines. I'm sure there would be a lot of guys who would love to be her Oppa. 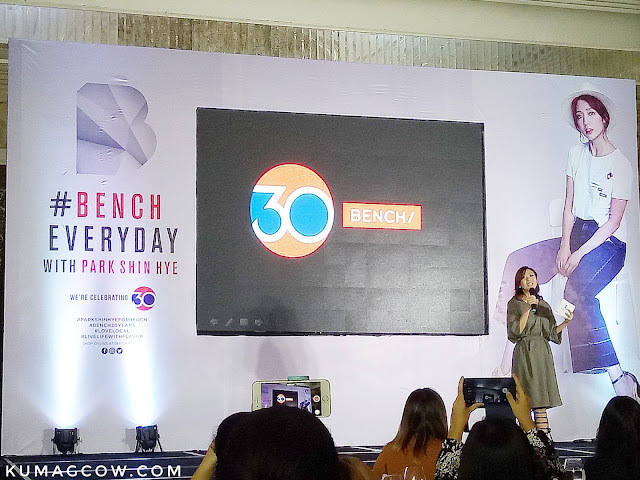 Make sure you follow me @kumagcow (for more photos of her) and Bench's social media channels for updates about her show later!